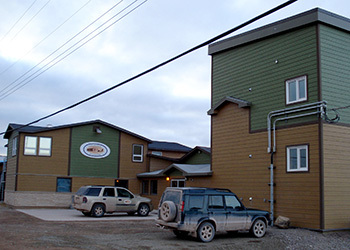 The Nunamiut Lodge Hotel is located near the center of Baker Lake’s services. Our Hotel is located approximately 4 km from the airport. Please see map below for directions.